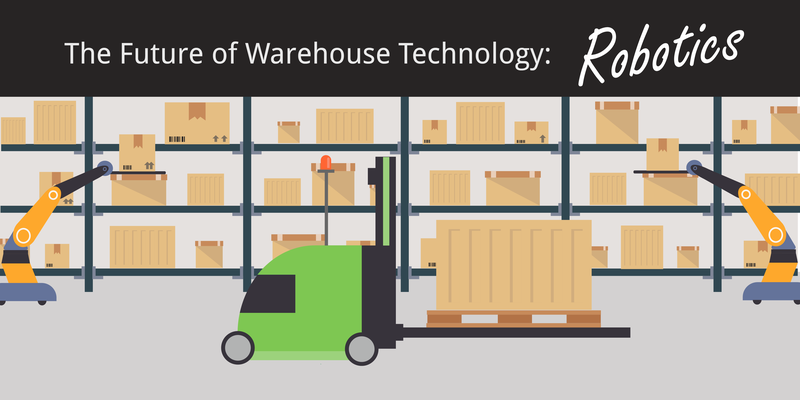 In this 4-part blog series, we will look at the ways warehouse technology has transformed the supply chain. Topics we will cover include robotics, drones, image recognition technology, and the Internet of Things. Remember when warehousing was a labor intensive trade that required numerous workers and line managers? Now, humans and machines work together in every step of the supply chain. Autonomous technology is ideal for the warehouse grid design. Robotics can streamline distribution by calculating the fastest route of moving goods around the warehouse. They can also ease the physical demands on the human worker to improve efficiency. When you add robotic technology to your warehouse practices, logistics get simplified. To kick things off, let’s talk about automated guided vehicles, otherwise known as AGVs. Warehouse Technology: What are AGVs? AGVs are portable robots used on the warehouse floor. They carry loads or tow objects behind them in trailers. They are controlled by computers and integrated with your warehouse management system. These robotic carriers navigate up and down aisles and move stock without the need of an on-board operator. When AGVs were first introduced, they relied on magnetic tape or buried wires for navigation. However, the latest generation of warehousing robotics uses low RFID waves, laser guidance, or on-board navigation systems. These options can be updated as needed. These faster and smarter versions of AGVs are called Autonomous Mobile Robots, or AMRs. Plus, they are smart enough to navigate around obstacles too. With their nimble build, they don’t take up a lot of space or need a large radius to turn. They move through the warehouse easily and help to reduce product damage and aisle traffic. The robotic industry is evolving. As of 2017, Amazon has over 100,000 robots active in their warehouses around the world. But warehouse technology isn’t just something that large companies can adopt; it’s relevant for small companies too. Robots can multi-task, meaning your business can perform more activities with less machinery. Since you don’t always need to redesign your warehouse to add robotics, it can be a seamless transition. In recent years, robotics have improved in quality and price. Even if your business is on the smaller scale, you should not dismiss the potential cost savings of automation. Consider partnering with a 3PL company who can help you leverage technology. Combined with your cloud-based WMS, you can speed up fulfillment and reduce operating costs.